Alberta Scientists have developed a new diagnostic that will allow men to avoid painful biopsies to check for aggressive prostate cancer. The test includes a unique nanotechnology system to make the diagnostic using just a single drop of blood, and is considerably more accurate than existing screening techniques. The Extracellular Vesicle Fingerprint Predictive Score (EV-FPS) test applies machine learning to incorporate information from millions of cancer cell nanoparticles in the blood to identify the unique fingerprint of aggressive prostate cancer. 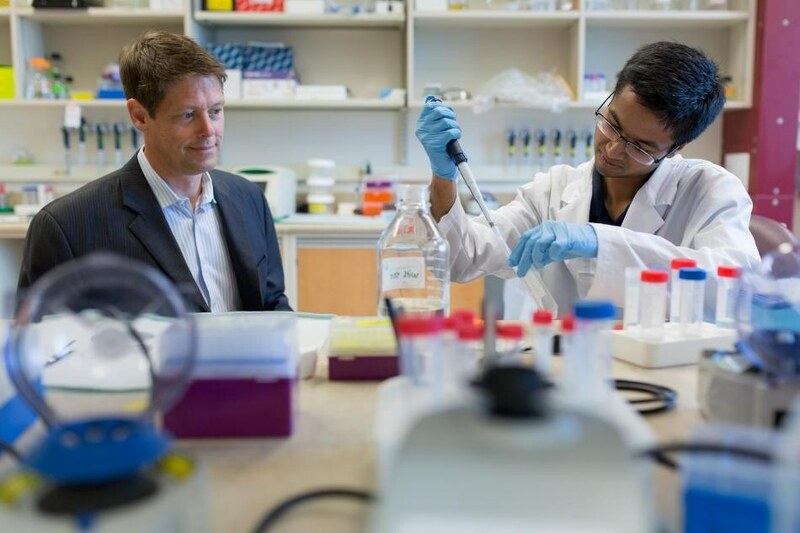 The diagnostic, developed by members of the Alberta Prostate Cancer Research Initiative (APCaRI), was tested on a group of 377 Albertan men who were referred to their urologist with suspected prostate cancer. It was discovered that EV-FPS precisely identified men with aggressive prostate cancer 40% more accurately than the most common test used today - Prostate-Specific Antigen (PSA) blood test. Higher sensitivity means that our test will miss fewer aggressive cancers. For this kind of test you want the sensitivity to be as high as possible because you don't want to miss a single cancer that should be treated. According to the team, existing tests such as the PSA and digital rectal exam (DRE) frequently lead to unnecessary biopsies. Lewis says over 50% of men who undergo a biopsy do not have prostate cancer, yet have to go through the pain and side effects of the procedure such as sepsis or infection. Below 20% of men who undergo a prostate biopsy are diagnosed with the aggressive form of prostate cancer that could highly benefit from treatment. It is projected that effective implementation of the EV-FPS test could ultimately eliminate up to 600 thousand needless biopsies, 24 thousand hospitalizations and up to 50 % of avoidable treatments for prostate cancer annually in North America alone. Besides cost savings to the health care system, the Researchers say the diagnostic test will have a great impact on the health care experience and quality of life for men and their families. Compared to elevated total PSA alone, the EV-FPS test can more accurately predict the result of prostate biopsy in previously unscreened men. This information can be used by clinicians to determine which men should be advised to undergo immediate prostate biopsy and which men should be advised to defer biopsy and continue prostate cancer screening. The team will be launching the test into market through university spin-off company Nanostics Inc, which was founded by John Lewis, Desmond Pink, Catalina Vasquez and Robert Paproski.